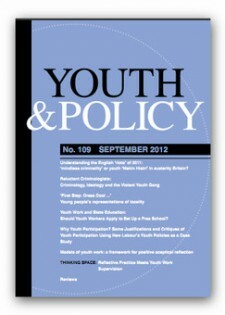 Youth and Policy Journal was founded in 1982 to offer a critical space for the discussion of youth policy and youth work theory and practice. The editorial group have subsequently expanded activities to include the organisation of related conferences, research and book publication. Regular activities include the bi-annual ‘History of Community and Youth Work’ and the ‘Thinking Seriously’ conferences. The Youth and Policy editorial group works in partnership with a range of local and national voluntary and statutory organisations who have complementary purposes. These have included UK Youth, YMCA, Muslim Youth Council and Durham University.